Charles William “Bill” Mumy, Jr. is an actor, voice actor, musician, instrumentalist and pitchman, born on 1st February 1954, in San Gabriel, California USA. After gaining popularity as a child actor during the 1960s, he became best recognized for his role of Will Robinson in the CBS sci-fi television series “Lost in Space”. His other notable roles include in the Disney film “Rascal”, “Bless the Beasts and Children” and sci-fi TV series “Babylon 5”. 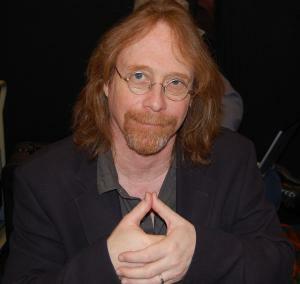 Have you ever wondered how rich Bill Mumy is? According to sources it has been estimated that Mumy’s net worth is over $10 million, accumulated through a lifelong career in the entertainment industry. As a multi-talented artist, Bill’s career earned him both popularity among the public and significantly added to his net worth. Since he is still active in all of the fields of his career, his wealth continues to grow. Bill began his professional acting career as at the age of six, and has since worked on more than 400 TV episodes and other television projects. One of his earliest roles was as Willy in an episode of the NBC-TV family drama series “National Velvet”. He then appeared in three episodes of “Twilight Zone” during the early ‘60s,, in which he portrayed three roles. In 1961, Mumy was cast in the Alfred Hitchcock Presents series in “The Door Without a Key” and “Bang! You’re Dead”. He continued to appear in numerous TV series during the decade, including “Going My Way”, “The Greatest Show on Earth”, “Empire”, “The Fugitive”, “The Eleventh Hour”, “The Adventures of Ozzie and Harriet” among many others, in which he starred next to big stars such as Brigitte Bardot, Jene Kelly and James Stewart. His net worth was rising steadily. One of his most notable and recurring roles was that of Will Robinson in the TV sci-fi series “Lost in Space” between 1965 and 1968. During the 1970s, Bill was cast in two major films – “Bless the Beasts and Children”(1971) in the main role, and “Papillon” (1973), in which he starred next to Steve NcQueen and Dustin Hoffman. He continued to appear in various TV series and films in the following years. In 1996, Mumy also served as a writer and co-creator of the Nickelodeon TV show “Space Cases”, which had a similar theme to “Lost in Space”, and was nominated for the 1996 Ace Award for “Outstanding Children’s Series”. Bill has also worked as a narrator in numerous documentaries and specials for Arts & Entertainment Channel, Animal Planet, The Sci-Fi Channel and E!, and served as a voice actor on animated shows like “Ren and Stimpy”, “Scooby-Doo” and “Animaniacs”. All added steadily to his net worth. In addition to his acting career, Mumy is an accomplished musician who plays several instruments including harmonica, banjo, bass, guitar, mandolin, keyboards and percussion. He started n 1978, along with his partner Robert Haimer, forming the rock duo “Barnes and Barnes”, which achieved notable success worldwide. For his original song composition for Disney’s “Adventures in Wonderland”, Mumy was nominated for an Emmy in 1991/1992. When it comes to his solo career, he has so far released several solo CDs, as well as nine albums in cooperation with Robert Haimer and “Barnes and Barnes”. In his personal life, Bill has been married to Eileen Mummy since 1986, and the couple has two children – Seth and Liliana, who are also actors. They reside in Hollywood Hills, California. Parents Muriel Gertrude Mumy, Charles William Mumy, Sr.
1 [Of Jonathan Harris]: Well, yeah. I never really had too many uncomfortable moments working with any actor. I was comfortable working with most everybody. It's just the more that Jonathan and I did together, the more he changed the character. He really changed the character of Dr. Smith himself. He really turned him from a snarling saboteur villain to this bumbling insulting kook. The more he played it for comedy, the more Irwin Allen liked it. The show really went the way that Jonathan led it. But we had great chemistry together, and we never had a bad day. We were always prepared, as was Bobby May who was inside the robot. When we had our work to do - and I think this is a very big reason the way it went - they'd get us done in a couple of takes. Nobody screwed up. It was easier for the crew and it was easier for us, and people seemed to like it. 2 [on his on- and off-screen chemistry with Jonathan Harris, who played Dr. Zachary Smith]: Oh, he just loved Dr. Smith. He loved him when he was such a snarly villain, and he loved him when he was a lovable buffoon. He created that character, single handedly, and no, I don't think he had any trouble being a nasty, villain kind of a character. He was a versatile actor, and loved doing it. I loved Jonathan very much, he was a great friend. 3 [on being more than an actor]: I'm very lucky to work in so many different arenas of the entertainment industry and I do enjoy them all, but making music - original music - in the studio or live onstage is definitely my favorite thing to do. 4 I'd been working quite prolifically, for about five or six years before we started Lost in Space (1965). One week, I'd be a scary mutant in The Twilight Zone (1959) and, another, I'd be a nice little kid in a Disney movie. 5 [Before Lost in Space (1965)]: From the age of four, I was a huge comic fan and still am. When Lost in Space came along it was like being in a huge comic so we jumped at the chance of being part of that project and it proved to be a good choice. 6 [When asked about real-life sibling rivalry between his actor-children, Seth and Liliana] "...If my kids could wish each other into the cornfield, as it were, they'd LIVE there. I mean, they'd be in that cornfield all the time." 7 I had a great time doing Lost in Space (1965). With the exception of a couple of days, I don't have any unpleasant memories of the show. The only thing I'm bitter about in a sense is that the show runs constantly in syndication and none of the actors get paid. Nonetheless, I made a lot of money at the time, my family invested it well for me, and I have a lot of nice things. I can't complain. 1 Credits Jonathan Harris as his favorite acting mentor/best friend. 2 Lifelong friend of Jonathan Harris. 3 Revealed that he had a wonderful working relationship with Jonathan Harris on Lost in Space (1965). 4 He is of German, English, Scottish, and French-Canadian descent. 5 His acting mentor and former series' lead, Jonathan Harris, passed away on November 3, 2002, at age 87. 6 His acting mentor was the late Jonathan Harris. 7 Along with Cloris Leachman, he is one of only two actors to appear in both The Twilight Zone (1959) and its second television revival, The Twilight Zone (2002). 8 Best known by the public for his role as Will Robinson on Lost in Space (1965). 9 'Weird Al' Yankovic' was a big fan of Lost in Space (1965) growing up, and he and Mumy later became good friends. Mumy reportedly introduced Al to his wife Suzanne. 10 Credits his Lost in Space (1965) co-star Guy Williams with inspiring him to become an actor. Mumy grew up watching Williams on Disney's Zorro (1957) TV series; young Bill broke his leg attempting to recreate one of the show's stunts in his bedroom. 11 Is an only child. 12 Was a lifelong friend of James Stewart, with whom he co-starred in the film Dear Brigitte (1965). The Stewart and Mumy families knew each other well off-screen, Stewart's wife Gloria having been Mumy's Sunday school teacher. He can still do a perfect imitation of Stewart's voice, one that frequently cracked Stewart up during his lifetime. They were all members of the Beverly Hills Presbyterian Church. 13 On the Babylon 5 (1994) episode "Eyes," he used his album title "Zabagabee" as an alien word. Series show runner J. Michael Straczynski was reportedly not amused, as he didn't feel it was appropriate to promote outside projects, and it ran counter to his mandate forbidding improvisation on the show. 14 Was the original choice to play "Eddie Munster," in the cult 1960s TV series The Munsters (1964). However, his parents did not approve of the makeup young Bill would have to wear for the role; they turned it down. Butch Patrick ended up playing the part. Today, Patrick and Mumy are very good friends and sometimes collaborate on music. 15 Wrote a screenplay back in the late 1970s in which the Lost in Space (1965) family would have found their way back to Earth. 20th Century Fox was committed to the project, but series creator Irwin Allen wasn't interested in reviving the series. The plan dissolved completely after the death of space patriarch Guy Williams in 1989. 16 Acted in a recent episode of the newly-revived The Twilight Zone (2002) TV series with his actress-daughter Liliana Mumy. As a child, Mumy appeared in three of Rod Serling's classic The Twilight Zone (1959) episodes ("Long-Distance Call", "It's a Good Life" and "In Praise Of Pip") during the 1960s. 17 Had a recurring role as "Lennier" on Babylon 5 (1994). Mumy had also repeatedly tried to land a guest role on Star Trek: Deep Space Nine (1993), but the producers always wanted him to play an alien. He held out until they allowed him to play a human, which he did in the DS9 episode "The Siege of AR-558" (he was the Starfleet engineer who worked on trying to decode a Dominion communications array). 18 Performed with Robert Haimer as "Barnes & Barnes", recording the hit novelty song "Fish Heads" in 1978. It is currently the most requested song in the history of the Dr. Demento Show. 19 Last name is pronounced "Moomy" not "Mummy"
21 Wife, Eileen Mumy, is a childbirth instructor. Derailroaded 2005 Documentary performer: "Fish Heads" / writer: "It's a Hard Business", "Fish Heads", "The Bouillabaisse", "Frank", "It's a Money World", "My Sweet Little Cathy", "Ping Pong Ball Head', "Music Business Shark"
Backstory 2000 TV Series documentary writer: "Series Theme"
Plain Clothes 1987 as Billy Mumy, "YOU'RE RICH"